Who doesn't love FREE traffic? and not just any traffic, but traffic from highly qualified leads who can become your dream customers! In this new blog post, I am going to give you 3 tips for getting free traffic by leveraging the power of content marketing. So what are you waiting for? Read on to learn how to create content that your audience will actually want to engage with. Before you start creating content, you need to know what you’re going to create. And brainstorming ideas will help you decide. These strategies for creating content for eCommerce brands work with the goal of getting people to interact and engage on social media in a way that drives people to a website. Yes, you can do that with direct response ads, and in Drop Ship Lifestyle I cover that extensively. But what about the next step? The next step, is building a branded store that relies less on ads that lead people directly to buying. Instead, you begin to create ads that lead people to content. Ads that provide good will and get people to engage with your company before they even become a customer. How are People Interacting with Your Business? You might think you are out of ideas, but just see how people interact with your business. Take conversations you have with your customers, and turn it into content. If you’ve been in business for any amount of time, you should have no shortage of content ideas. It may seem like you are, but all you have to do is go check all of the emails you've received in your inbox, check all of the live chats you've had with your customers or your visitors. Dive in and see how people are interacting with your business. See what they ask, what they're happy about, and what they complain about. Take those conversations that get started by your visitors and your customers, and turn them into pieces of content. 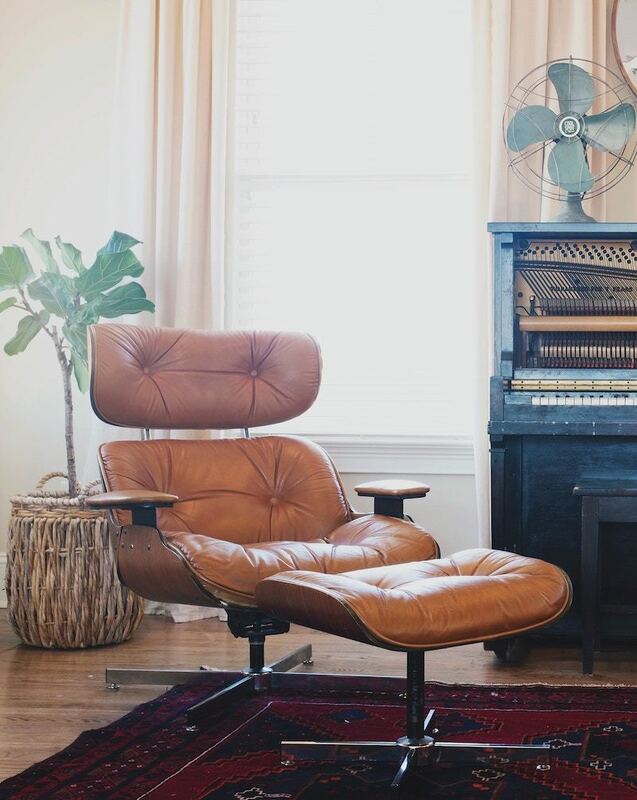 If a customer asks, “What type of leather are your chairs made of?”, update the product page with the answer. If a customer asks, “What type of leather are your chairs made of?”, also use that as an idea for a piece of content. Write a blog post about the different types of leather, differences in quality, ​or even the differences in durability, ​etc. ​Whatever the things are that can take you deeper into the topic, ​turn that into a piece of quality content. ​Now, the beauty of this is that it's a resource that you'll have on your website that you can direct people to in the future. You already know people want to know more information because they're asking you about it. You can also take that content and post it on social. That way people that don't know what they want to buy yet, but are interested, can find it and find you that way. ​Keep a document that is a running list of different ideas for content. If anything ever comes up, you can quickly throw that idea to the list until you’re in content creation mode. Personally, we have a tab on our Content Calendar in Google Sheets that tracks the topic, source, and urgency of our content ideas. Engage with potential customers in places that aren't your place. Find some Facebook groups, join them and just watch. What's trending? What questions are they asking? Another strategy that works well for content marketing for eCommerce stores is engaging with potential buyers in places they’re not ‘yours’ yet. To stick with the furniture niche example from earlier, we might know that our clients are mostly interior designers that were buying for customers’ homes. Well one way we could find these potential buyers is looking for interior design-related Facebook groups or other social forums. These days, any niche, any industry, so you should be able to go on Facebook and find whatever you're looking for. Once you’ve found these places, take a look at the conversations that are happening. You don’t have to engage in these groups, just watch. See what people bring up, see what they're talking about, see what they're happy or upset about. Then take those ideas and turn them into content. It works because you already know at this point that the topic is something popular and relevant because you're seeing your target audience talk about it. ​Use a tool called BuzzSumo. Type in keywords related to your industry. It will show you popular posts. This will help you know what people are talking about. Whether you’re using the Drop Ship Lifestyle model or selling on eBay or Amazon, these content marketing strategies apply to all drop shipping stores. If you're selling physical products online, this blog post will help you be able to create better content. Here are a few of our favorite content marketing tips that you can start ​applying right away. Whatever format you're most comfortable with, you should choose that and stick with it. Wherever you excel, that's where you should put your time. The first tip I can give you is about choosing the right format of the content. And it could be (primarily) one of three things: audio, written, or video. ​Beyond what your audience engages with, the reason format matters is because you have to be comfortable making this content. 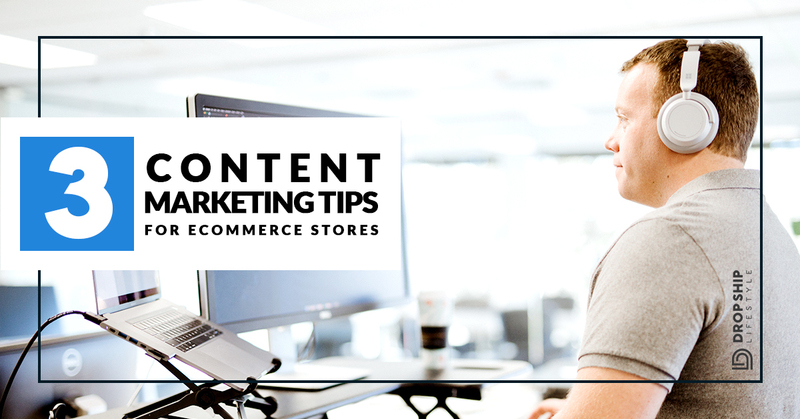 If you're the person that's driving your brand forward, which is going to be the case if you're a smaller eCommerce store, then you’ll be the one that’s brainstorming ideas and creating content. Which means you are going to be responsible for the quality of your content, especially in the beginning. Therefore, the format in which you create content should be what comes naturally to you. Now, I'm not going to stand here and tell you that I'm the best person on video. I'm definitely not. But I am comfortable taking out the camera, turning it on, sharing a lesson just like this or a lesson about a product or a review on something I just bought. So, for me, video seems to work. I'm happy with it, and that's why you see a lot of video content from me at Drop Ship Lifestyle. Same thing with eCommerce brands. I'm comfortable doing video, so I do video. If I had to make a video about the top products in my specific niche, I could probably do that. I'll do my research, I'll get on camera, I'll talk about what's good about each one, and then, boom, that will become a piece of video content for my eCommerce brand. If you want to do content marketing right, know the format that excites you and isn’t a pain when you have to do it. That format is where everything else stems from. Say your audience loves reading blog posts and you know that you hate writing but you're good at talking…. Well, do a podcast, record audio, and transcribe it to turn into a blog post. 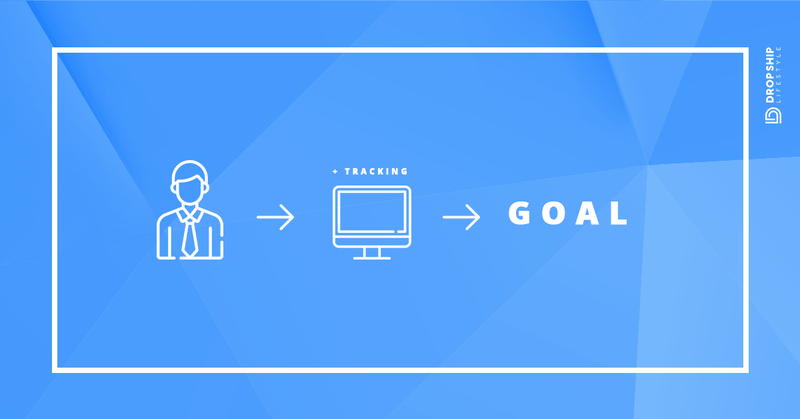 Whatever the content is, it should be trackable and tied to a goal so it gets you results that help move your business forward. Now, I'm not talking about goals in how much content you want to create. I'm talking about the goals of the piece of content that you are creating. You see this all the time with people that are new to content marketing... there's no clear call to action. They write blog posts or they make videos and people watch it, and that’s great, but it’s also not clear what they want to the viewer to do after. There should always be a next step, or some goal for the audience consuming your content. Or the goal is for a sale. Then, you’re creating content in form of a long-form sales letter so people can read and learn all about your products and store. You could end the letter with them clicking something to buy. 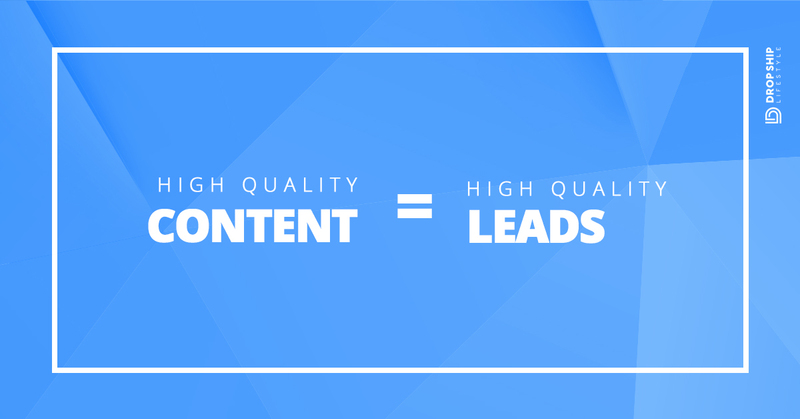 Content can even be used to increase conversions. Maybe you're putting out a piece of content for your store reviewing the top three products in your niche. Either way, setting a goal is going to provide your audience with clarity. Clarity is going to help them choose which one is right for them, which is going to increase your conversions. When you’re putting content out, it should typically educate the person consuming the content. But then, it's also driving an action to happen. You want them to go through it, consume it, and then take an action that is going to benefit your business. Whatever the goal is, when you're creating that content it should be tied to a goal or else the effort you're putting in it will be lost because you're not asking for anything in return. Go into it knowing what the goal is. This next content marketing strategy is one I don’t think is used enough. It’s almost like a ‘hidden goal’. So you have your content? And you’re sharing it on social, emailing it to your list, and getting it in front of people. 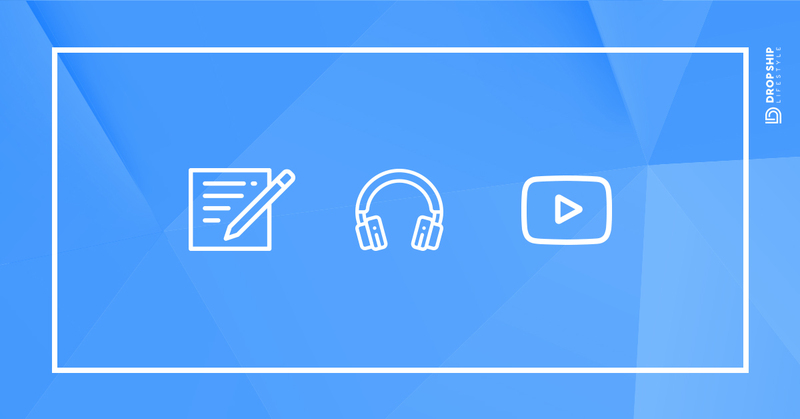 As people are viewing and consuming your content, hopefully they take action and complete a goal, whatever it may be. 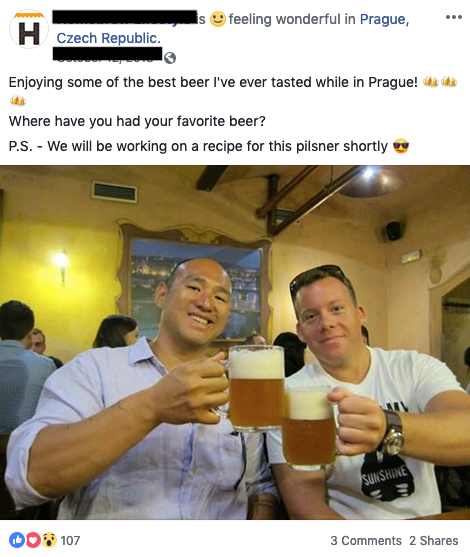 This tracking and pixeling is what makes advertising on Facebook and with Google so powerful! 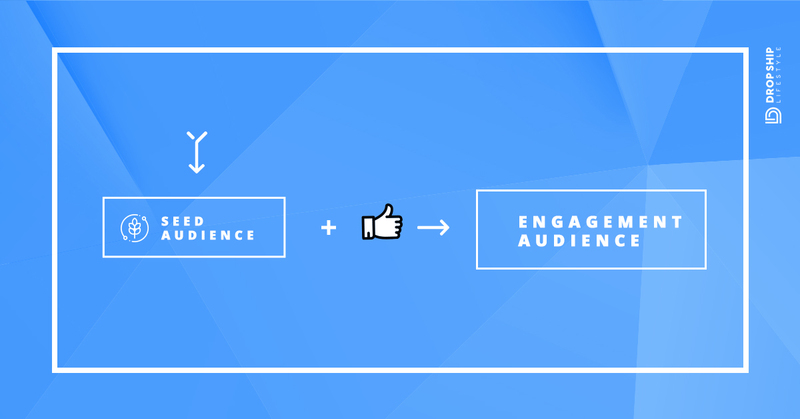 As you track this now-engaged audience, we're building what are called seed audiences. By doing this when this person is there, we can then go ahead and show them different ads. So they're on our content, they're getting this stuff that's educating them and providing them with value. And hopefully increasing the goals that we want. Now, when they go back to Facebook and Google you can remarket to them. After your seed audience is planted,​ it’s time to kick things up a bit and build lookalike audience. The lookalike audience brings them back in and with content that gets them to take action. If they don't take action, they're added to the list, and it builds on itself. As your business grows and as you start to make more and more money, you start to reach more and more segments of people. And as you start to do different types of advertising, you bring on other people. The seed audience is a group of people you are trying to get to engage with your content. You’re not trying to get them to become customers just yet, but you want to ‘attract’ them to your products. So, whether or not you already have an established brand, building your seed audience is something you should be working on once you start running ads. Start with Facebook, and create a few different ad variants of what you think your customer avatar would be interested in. During the process of building our latest course on branding, I built a demo brand as a way to demonstrate the possibilities of branding in eCommerce. So for this project for our new brand, I wanted to go with two different options to see how the audience responded. Now one of them is actually a photo of me, using the thing that we're going to be selling with our new brand. The other one is a meme that I made myself for the first time using Canva. What's funny, is the one that has nothing to do with me, the one that's just the meme, is absolutely destroying the one of me. Therefore, engagement is so much cheaper, comments, shares, everything is a fraction of what I'm spending for the ad with an image of myself. So it just goes to show, don't worry if you don't want to be the face of your brand and you don't want to be out there and you want to just go for engagement to start building your seed. The good news is you’ll be fine. The goal of this content marketing strategy is to get your engagement audience as big as possible. What you want at the end of the day is your engagement audience to be every single person that is going to possibly be interested in what it is you have to sell. Basically, you're promoting your piece of content to who you assume is your ideal person, right. Are they male? Are they female? What age range are they? What interest do they have? Now what you're doing after that is creating a custom audience on Facebook. And in Facebook, you can create custom audiences based off all different things. What I recommend you do though is create a custom audience of people that have engaged with your stuff. ​Then after that, you're ​building your lookalike audiences. These audiences are a small percentage of people that are similar to the people who already engaging with your content. You then show your lookalike audience your content with hopes of getting them to engage. When people get engaged with your stuff, they go into the engagement. Then you have your look alike audience, which is also feeding your engagement audience. Goal To get that engagement audience as big as possible. What you want at the end of the day, your long-term goal, should be your engagement audience is every single person that is possibly going to be interested in what it is you have to sell, what you have to offer. Seed Audience Create ads targeting what you assume is your ideal audience and those who would be interested in your content. Engagement Audience These are the people who are commenting, sharing, and engaging in your posts. Grow this audience as much as possible. Lookalike Audience Now, create ads and target audiences that are similar to your Seed and Engagement Audiences. Once you target this audience, they become your part of your Engagement Audience. The big benefit of spending money and putting in work to get an engaged audience is a longterm play. When you do have offers or want to sell your products, you’re going to be able to show ads to people already familiar with your brand and are engaged with it. So if you're thinking, "Well, I don't want to invest a bunch of money in building these audiences. What's the point?" The point is it's worth it. First of all, that engagement audience is going to be much more likely to buy when you make an offer because they already know your brands, they already engage with your stuff. Not only that, it’s inexpensive. A lot of times people think, "Oh, this is going to be crazy expensive and I have to invest all this money." The truth is, not at all. The campaigns that with those two images earlier, were on a $5 a day budget. One of our top performing Facebook ads got nearly 100 shares. This content marketing strategy is not expensive, it works, and it's well-worth doing. So if you want to do things the right way and you want to have a relationship with your customers, then I highly recommend planting your seed audience now and build your engagement audience. Then, your lookalike audiences will just make your see bigger and bigger. These content marketing strategies are very, very easy ways to brainstorm ideas for what to create. And not just any content but that content that people actually want. Remember, it’s something they’re already engaging with online. 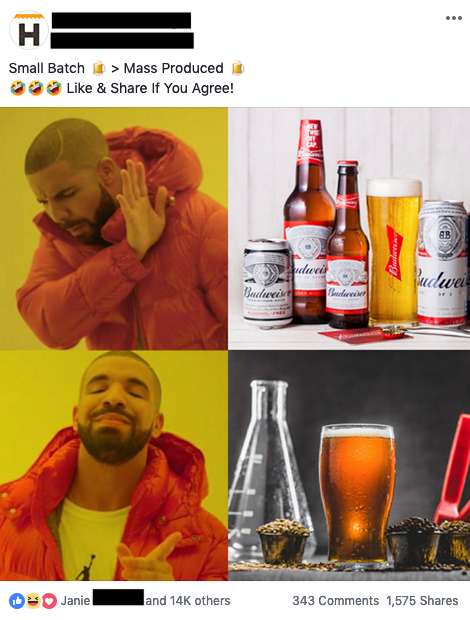 Instead, of being another company posting the same thing over and over again, put your own spin on it. Just make sure you use the framework that’s been proven to work! When you are just getting started with content marketing, make sure you choose the right format– one you’ll actually be comfortable creating. You might think you are out of content ideas, but just see how people interact with your business. Take conversations you have with your customers, and turn it into content. Grow your Engagement Audience as much as possible, this is the audience that is more likely to buy what you sell! Build a Lookalike Audience made up of people that are similar to your Seed and Engagement Audience and are engaging and following similar things to your niche. As always, if you got value from this blog post, please do give let me know in the comments below. If you're not subscribed to our emails, make sure to fix that, I share new training every single week! thanks for the information. We just opened our store and our looking for ways to get people to come. This is just the what we needed. Happy to hear that, Debbie. Best of luck with your store!